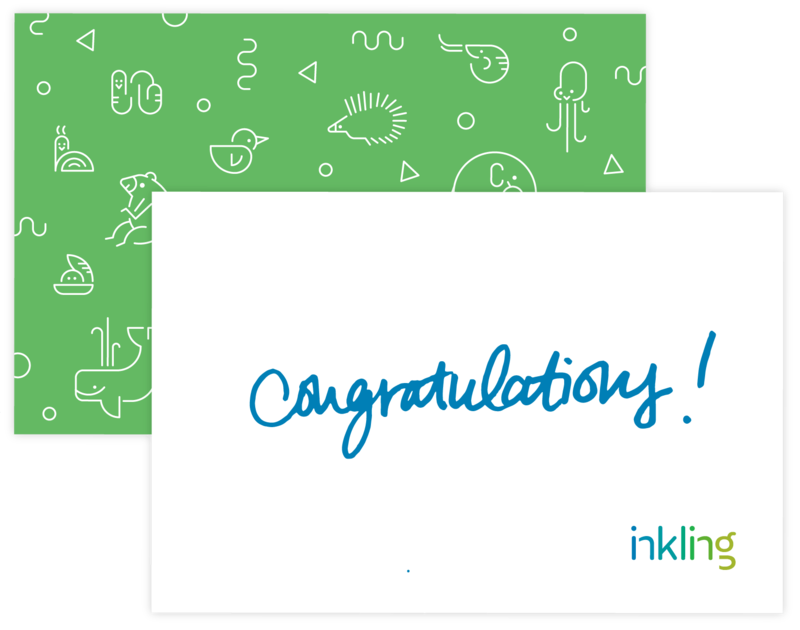 We needed a way to help congratulate new mothers and fathers in the Inkling family, so I partnered with the People and Culture team to design a seriously cute new parent package. I led a word association and sketch brainstorm with some colleagues, and we quickly created a bunch of concepts. We pulled our favorites, and landed on the idea of an Inkling-style menagerie—inspired in part by illustrated animal characters that were part of Inkling’s earliest brand identity. With the basic idea in mind, and a glass of whiskey in hand, I started sketching every animal I could think of. I explored a few different illustration styles before settling on our Inkling icon style--monoline with strategic negative space and rounded terminals for softness. I then cherrypicked the most delightful animals from my sketches and brought them into illustrator. Though I loved the organic feeling of the original sketches, Inkling’s icon style has a more geometric feel—so I took a shape-driven approach and re-built them in vector. 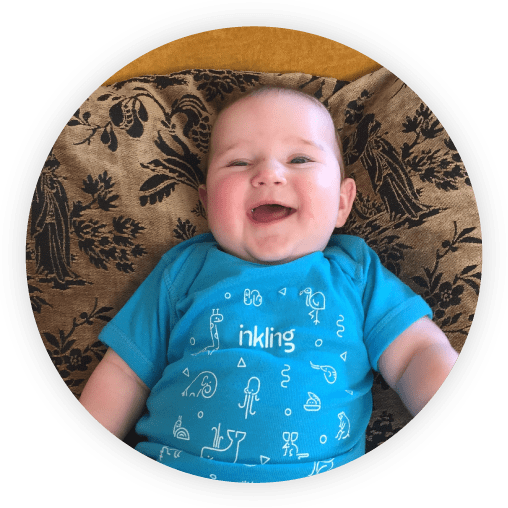 A care package that can be sent to new parents in the Inkling community, whether employees or customers. 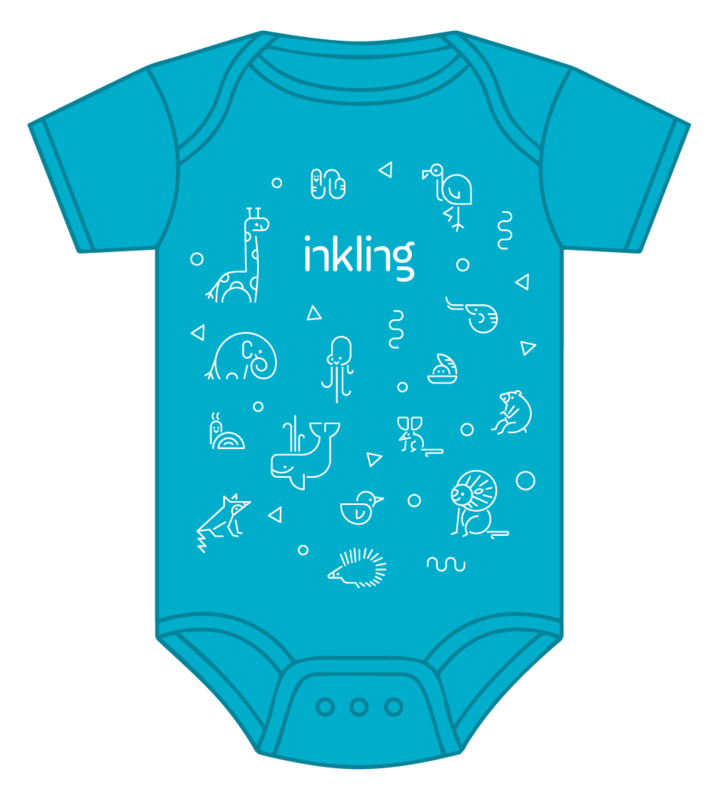 Now even our littlest Inkblots can rep Inkling in style!